In the final part of the three part series explaining the difference between two apparently similar positions in rugby, this week we are looking at the difference between an openside and blindside flanker. 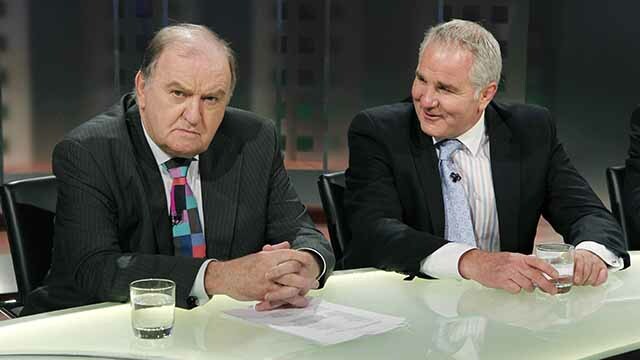 Those interested in Irish Rugby for the last number of years have been witness to George Hook spouting on and on that Ireland don't have a natural openside, and haven't since the days of Keith Gleeson. What he constantly fails to explain though, is what is a natural openside, and how different is it to a blindside? Both an openside and blindside flanker get their names from their positions at the scrum. They don't line up left and right, but rather, their positions depend on where a scrum is on the pitch. 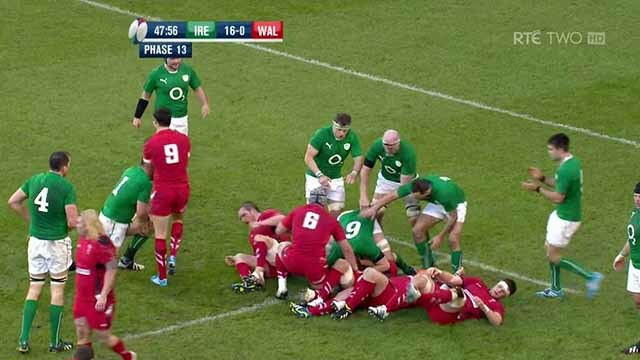 An openside will pack down on the side of the scrum that is furthest to the touchline, and is usually the side that teams have the majority of their backline, while the blindside flanker covers the narrower of the two sides. When defending a scrum, it's an openside flankers job to get out to the opposition backline as soon as possible, in an attempt to minimise any tackles his outhalf would have to make. Outhalves are traditionally the worst tacklers on a rugby pitch, because their job is to direct a team, not make tackles. Opensides also have to cover number eight picks on their side, or if the scrumhalf decides to go himself, the openside also covers him. A blindside has less responsibilities at the scrum, but it's more noticeable if they don't do them. Any short side moves, or blindside number 8 picks are the sole responsibility of a blindside flanker, and any missed tackles will usually result in big gains for the opposing team. This of course, isn't the main debate of what a natural openside is, or why a blindside can't swap over, but it helps to know where the names of these positions actually mean. So what's a natural 7? A look at all of the best openside flankers in the world gives us a hint - Richie McCaw, Michael Hooper, David Pocock, Justin Tipuric, Sam Warburton and Steffon Armitage. All of those players listed have the attributes of a natural 7 - breakdown skills and intelligent supporting link play. The breakdown aspect is the main difference between an openside and blindside flanker. 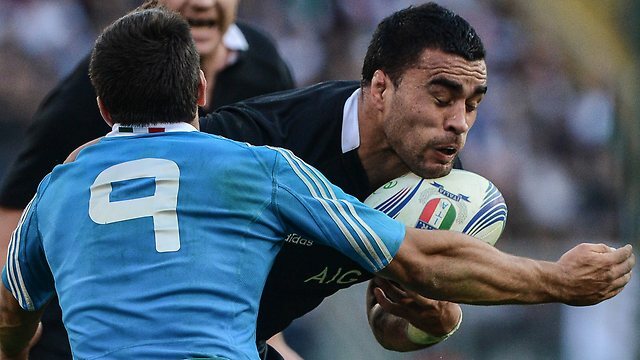 An openside's job in defense is to get over the ball to try and steal or win a penalty. A good openside will know when there is an opportunity to jackal the ball, and when to back off and keep the defensive line. Players like McCaw, Warburton and Armitage are extremely good over the ball, either stealing it, winning penalties, or slowing opposition attacks down. In attack, an openside tasked with the sole responsibility of supporting line breaks. While other back row players are used to carry ball and generate go forward, an openside is often the first player at an attacking breakdown to clean out defensive players, and stop the possibility of a breakdown. They are frequently the first player on the shoulder of an attacker when a linebreak is made, and are frequently thought of as the link player between one phase and the next. Michael Hooper and Justin Tipuric are prime examples of this. In contrast, a blindside flanker is used to carry hard in attack, generating forward momentum. While their primary duty in defense is to make tackles over and over again. A better question than what is the difference between an openside and a blindside flanker would be what is the difference between a blindside flanker and a Number 8? It does appear that lots of 6's end up playing 8, or vice versa. There is very minimal difference between the two positions other than decision making and responsibility. They both are used to carry a lot in attack, and both are used to tackle a lot in defense. Traditionally, a blindside flanker is bigger and heavier, and the Number 8 has more responsibility, especially at the base of a scrum. It's no coincidence that a lot of backrow captains end up being a number 8 rather than a blindside flanker, and the link between 8-9-10 is very important. These are the traditional duties of a back row, but the more important thing in the modern game is balance. You need a back row that have breakdown skills, clean out skills, carrying ability and a huge work rate to make all the tackles required. A look at successful teams shows that every backrow team has great balance of skills like Jerome Kaino (ball carrying), Richie McCaw (breakdown), and Kieran Read (decision making) in New Zealand, or the Toulon Heineken Cup winning back row of the tackling of Juan Smith, the smarts of Lobbe, and the breakdown skills of Armitage. Ireland's back row last 6 Nations of Peter O'Mahony, Chris Henry and Jamie Heaslip was a prime example of balance. Peter O'Mahony made a surprisingly low number of tackles throughout, while Chris Henry's total was huge. In the final game against France, Henry made 16 tackles, while O'Mahony only made 7. Heaslip also chipped in with 14. However, O'Mahony's breakdown work was prominent throughout the championship, and often won penalties or turnovers at the breakdown by being the first man in over the ball after someone else's tackle. In that same game in attack, Henry only carried the ball twice, while Heaslip carried 13 times and O'Mahony 7. However, the ball did come Henry's way a few times, and more often than not he passed to continue the play. This means that despite not having a natural seven, Ireland do have the balance in the back row, which is most important. This weekend's clash against Australia will be a ferocious battle of the back rows, with Ireland's unorthodox trio facing Australia's more natural back row. Ireland will need to drive them back in the tackle, and watch out for Michael Hooper at all times.